What’s all the fuss about curved screens? Curved screens on phones. Curved screens on TVs. It seems like everyone is gaga over curved screens all of a sudden. Is this a flash in the pan or is it a real thing? Curved screens make a lot of sense for televisions actually. Sure, we’ve been told for years that flatter is better, since the days of tube TVs. Back then, the outward bow of a tube television created distortion in straight lines and ruined the experience of home theater, such as it was in those days. Things are different today. First, we’re talking about screens that curve inward, not outward, and we’re talking about digital displays that can correct for the curving effect if needed. Curving a screen inward mimics the natural way that we see, and movie theaters have used mildly curved screens for years to great effect. 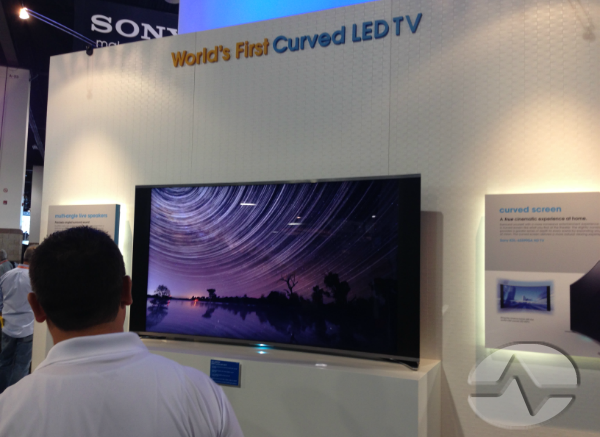 A curved screen also helps to minimize glare, which is a persistent problem with large TVs. As for curved phone screens… the exciting thing is not necessarily that the screens are curved but that they are flexible. A flexible screen has so many possibilities and giving a slight curve to your smartphone is just the first of them. Sure, a curved-screen phone will stand out in a crowd, but imagine what lies ahead: roll-up screens that take up no more space than a pen, or expandable screens that stretch to the size of a tablet when needed. The curved-screen smartphone is just the first step toward those neat ideas. Sure, there’s a coolness to curved screens that tends to overshadow their utility, but that will wear off unless the public sees that curved screens actually offer some sort of benefit. Still, for now that coolness is the start of something big… so enjoy it while you can.